Automatic text-wrapping is disabled by default. The chart control provides fine-grained API that allows you to enable wrapping for all elements, or alternatively on individual element basis. 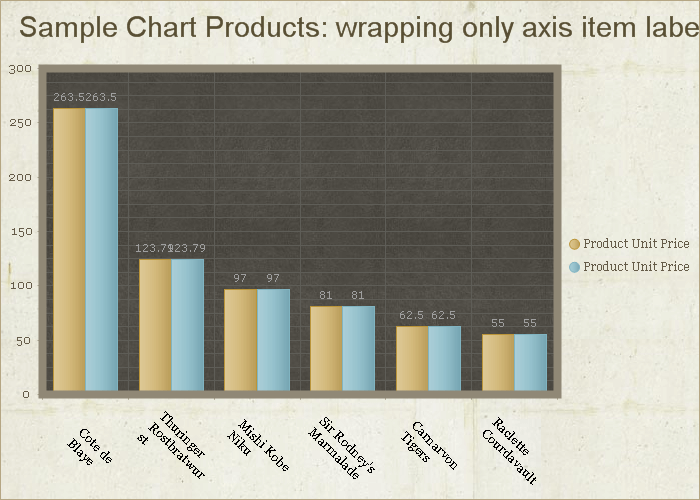 The behavior is controlled either via the RadChart.AutoTextWrap property that enables text-wrapping globally for all supported chart elements, or you can set the AutoTextWrap properties for the respective chart elements. Setting a value for individual element always takes precedence i.e. 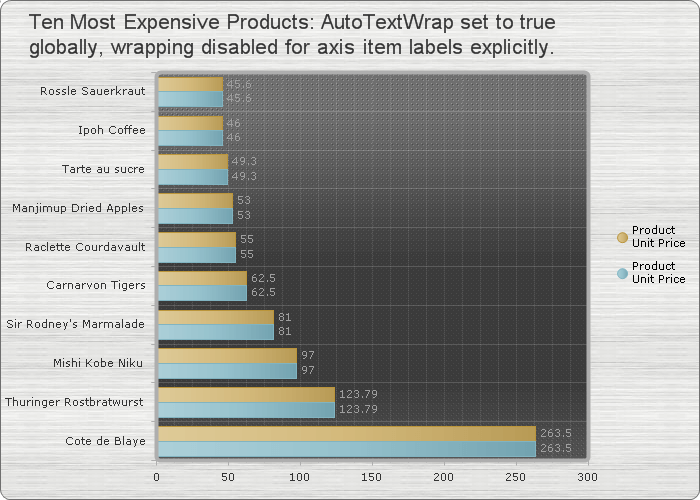 you can have the global RadChart.AutoTextWrap property set to true, and still disable the text-wrapping for the title by setting its respective AutoTextWrap property to false. 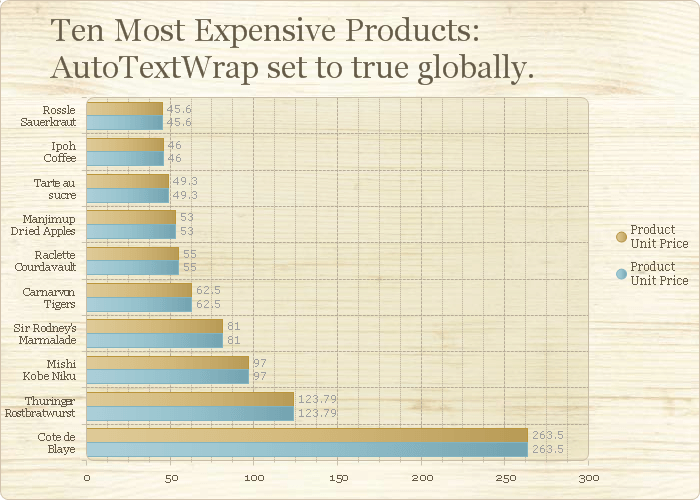 AutoTextWrap="true" Skin="Wood" AutoLayout="true" Height="500px" Width="700px"
AutoTextWrap="true" Skin="Metal" AutoLayout="true" Height="500px" Width="700px"